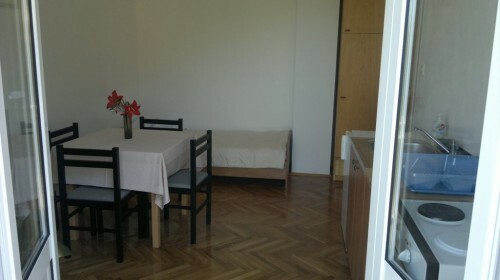 Sea view apartment in a small and quite place called Hodilje, 50m2, consisting of a bedroom with bathroom, kitchen and living room. In bedroom there is one single bed and one double bed, and in living room we have one extra sofa bed. Each room has a balcony The apartment is located just 20m from the sea and in the surrounding area of 100m you can find few beaches, coffee bar and fish restaurant. View at Mali Ston Bay, the oyster and mussels farms. 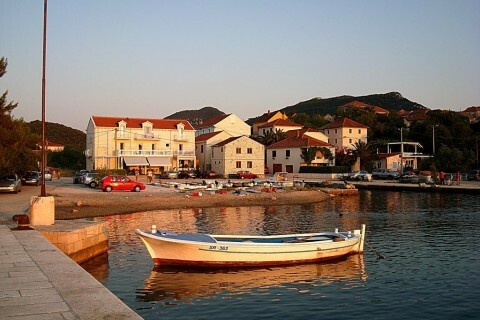 It has been well-known since Roman time, and oyster (ostrea edulis) from Hodilje and Mali Ston, as an acknowledged natural aphrodisiac has made this region world-famous Old city of Ston, 3 km from Hodilje, is a small town with the longest stone wall in Europe (5,5km), famous salt pans and it’s well known for its rich history. 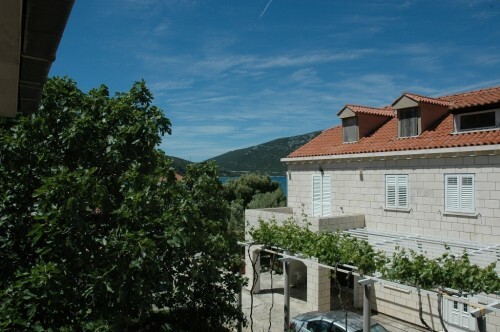 We live in the same house, so we would welcome you upon arriving Hodilje is a small village on peninsula of Pelješac that has managed to stay untouched by modern world, industry and crowd. You would be surprised how quiet it is here. 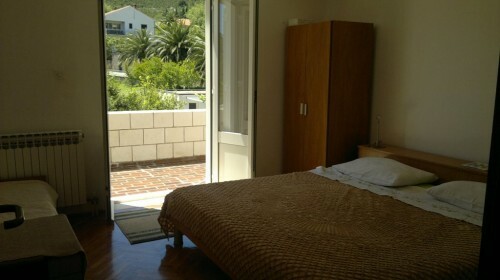 You just have to relax and enjoy the sea, the sun and nature The free parking is available in front of a house. 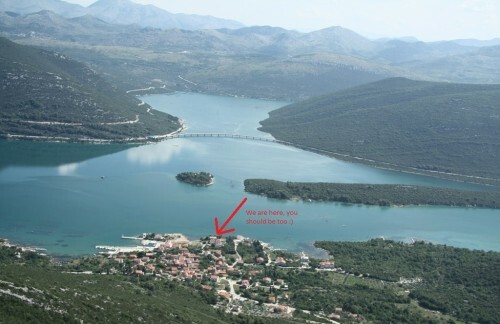 The closest bus stop is in Ston (3km away) but we can arrange pickup and transport to Hodilje for free.